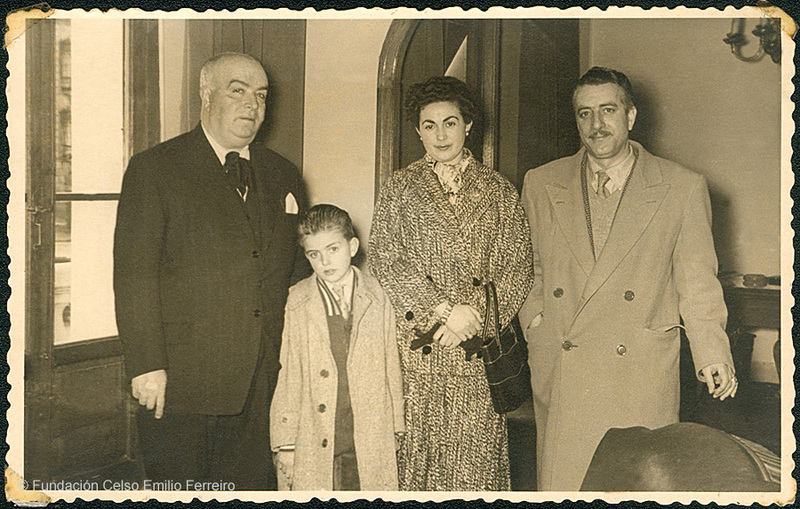 In October 1949 he qualifies as court attorney, and in September 1950 goes to Vigo to practice this profession. There he combines this job with others: first he is shareholder in an social insurances office and later becomes director of a photogravure workshop. He publishes Voz y voto (1955), a social book of poems edited by Gráficas Numen of Vigo. As a clandestine publication, it figures falsely printed on the invented collection Papel de Estraza, of Editorial Rex of Montevideo. 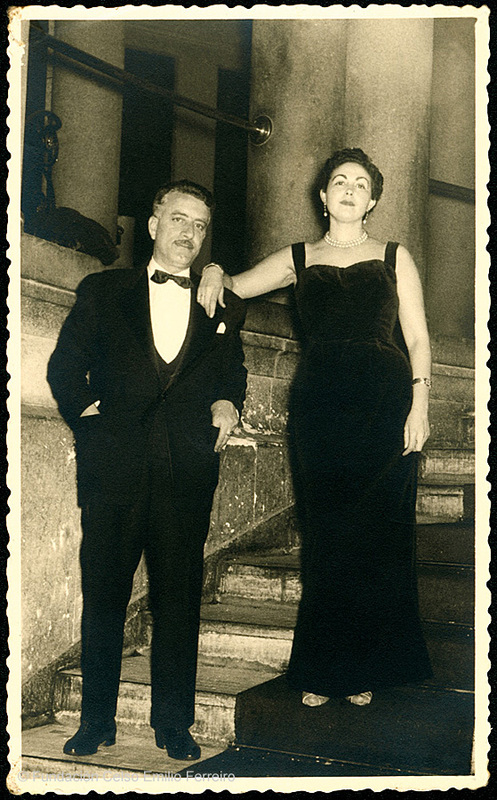 O soño sulagado (1955) comes out. This work includes thirty-one compositions of diverse kind: the nostalgic innermost of childhood, the protest poetry or the ironic and sarcastic verses. 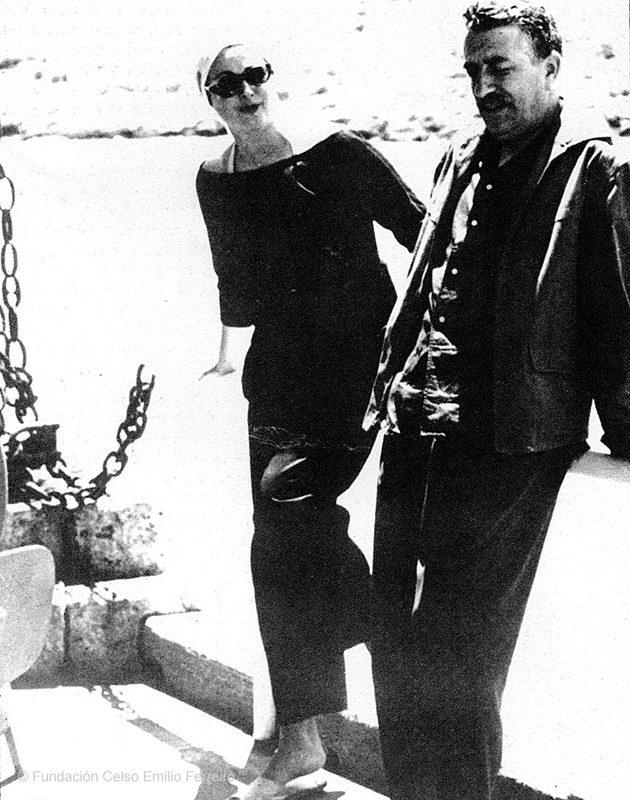 He publishes Longa noite de pedra (1962), a book of poems edited in Salnés collection, which Celso Emilio co-directed with Emilio Álvarez Blázquez and Francisco Fernandez for Editorial Galaxia. With this work he establishes himself as a writer. His recognition was unanimous by both readers and critics. However, Celso Emilio´s reputation as a poet comes from the bilingual editions of the book of poems realized by El Bardo, a catalan publishing house directed by José Batlló. In the field of essay, he publishes Curros Enríquez, Biografía (1954) in Editorial Moret. In this book he gives a lot of information until then unknown. 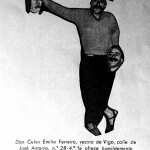 On the other hand, he collaborates frequently with the Vigo’s magazine Alba —where he becomes part of the editorial board since 1952—, with Aturuxo de Ferrol, with the Mexican magazine Vieiros and with the Majorcan magazine Papeles de Son Armadans, directed by his friend Camilo José Cela. 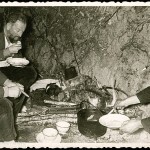 Since 1945 he publishes with some regularity in the newspaper Faro de Vigo, where he wrote several columns until 1964. The most known was “La jaula de los pájaros raros” (“The cage of rare birds”), which they had planning to publish in a independent book with a preface by Camilo José Cela, but the project finally didn’t materialize. A part of this project will be recovered in 2005 in the book Semblanzas, crónicas e artigos. This work is the first compilation of a fundamental part of his dispersed work published in the newspaper Faro de Vigo for thirty years. It also includes a new set of surprising chronicles on the Portuguese route of the St. James Way, and several articles in which the author reveals key issues of his life and work: his favourite places, the literature, society of his time, politic, gastronomy, cartomancy or his particular view about history facts, between other topics. At the same time, Celso Emilio collaborates on other media like Litoral or Vida Gallega, and in newspapers like El Ideal Gallego, La Región de Ourense or Diario de Pontevedra. 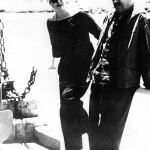 He develops an intense cultural activity as evidenced their participation in the Congress of Poetry in july 1954; or in the International Congress of Ethnography of 1963 in Portugal. He also won literary awards in the II Xogos Florais of Asociación Cultural Santa Cecilia of Marín in August 1962 and in the Xogos Florais of Ourense in July 1963. He continues with his political activism and he probes the formation of the PCG. However on July 25th, 1964 he is between the ten founding members of the Union do Pobo Galego, to which he will belong up to his definitive break in September, 1974. 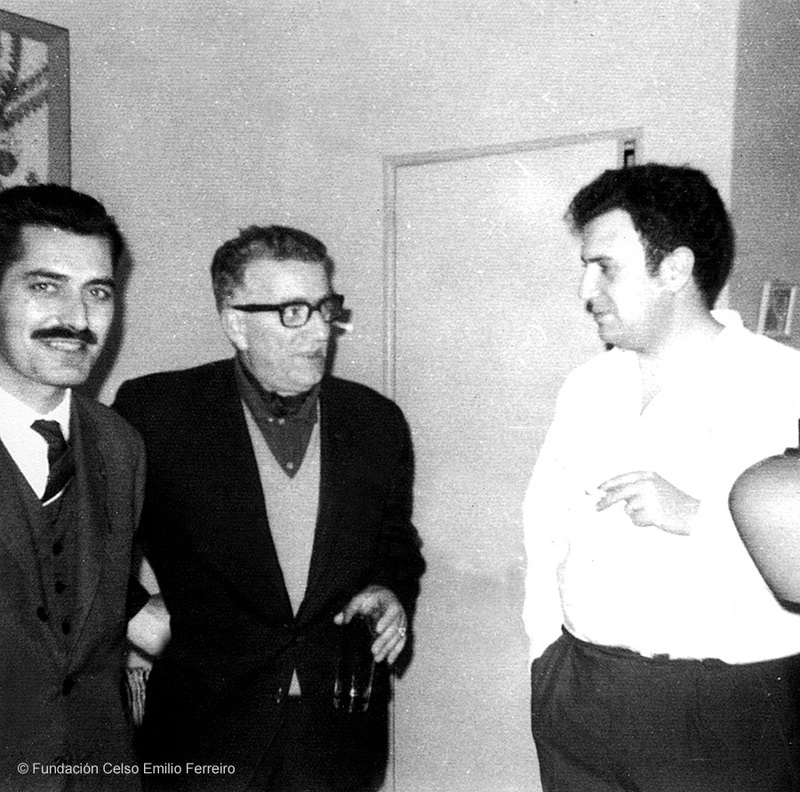 In 1962 four “cantigas” and two anti-Franco sonnets by Celso Emilio are included in the compilation Canti della nueva resistenzaspagnola (1939-1962). é coma un ollo insomne. Balbordo a bordo dos bous. polas rúas en costa coas leiteiras. na rúa baixo a lúa derradeira. pedíu o desaúno a grandes voces. 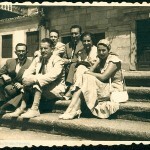 Celso Emilio, sat below, second from left, with Moraima, with the poet and draughtsman Xosé Sesto and his wife, and with Manuel Prego de Oliver and Emilio Álvarez Blázquez, in the Praza da Quintana of Compostela, on July 25, 1955. 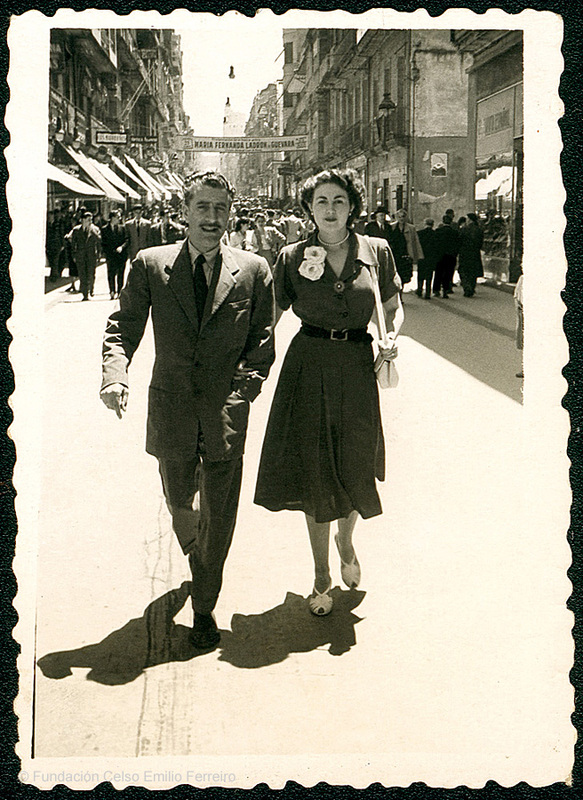 Celso Emilio and Moraima in the Príncipe street in 1951, when they settle in Vigo (Photo Company, Vigo). 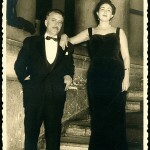 The couple at a party in the Casino of Vigo (Photo Ramón, Vigo). Dinner after the hunt in the Ancares with Xosé Maria Castroviejo, with whom he shares poetic generation: the Generation of 36. Celso Emilio is the first one for the left. Ceremony of the “Medal of shipwrecked persons’ Rescue “, which Celso Emilio receives in the Navy Command of Vigo, on March 7, 1955. 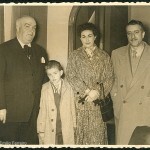 Between the audience were his brother Pepe, Moraima and his son Luís. 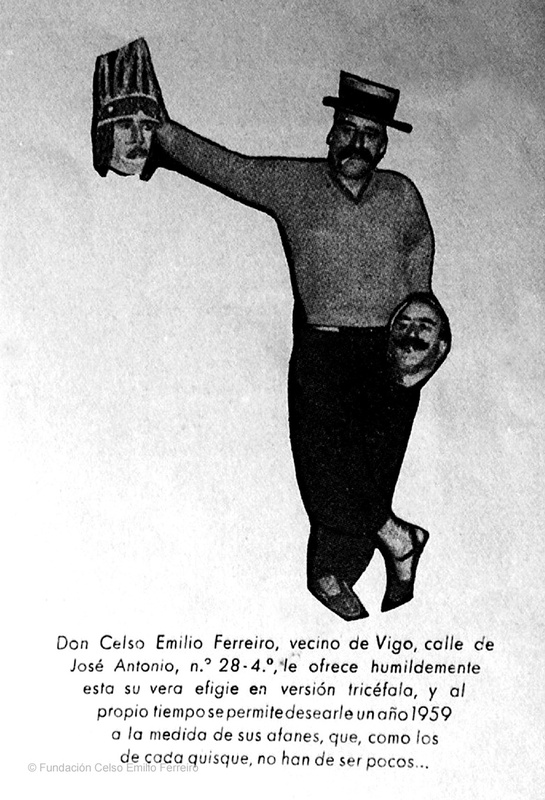 Greeting Card of New Year with the effigy of Celso Emilio. Vigo, 1958. 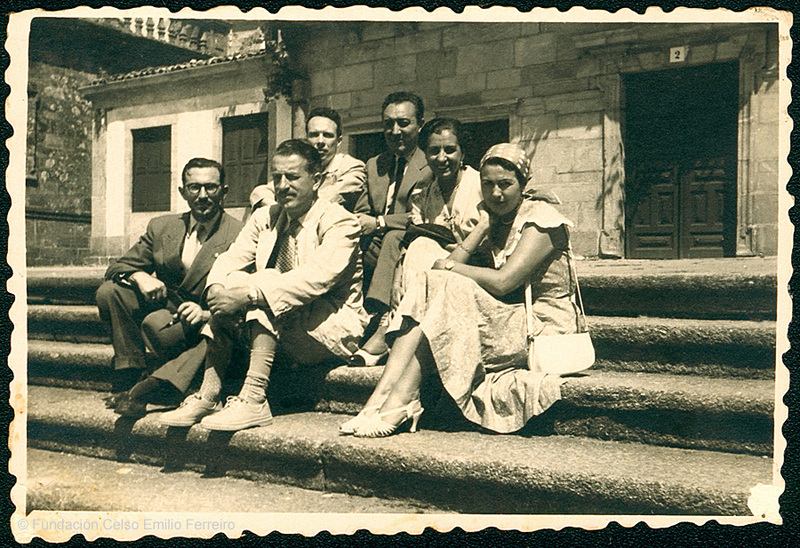 Baldomero Fernández and Celso Emilio, second from the left, with other friends. 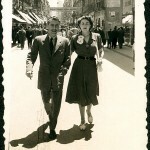 They were photographed by Eduardo Blanco Amor in Ourense. 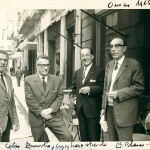 Celso Emilio, in the center, in the early 60’s with Manuel María and Xosé Luis Méndez Ferrin. 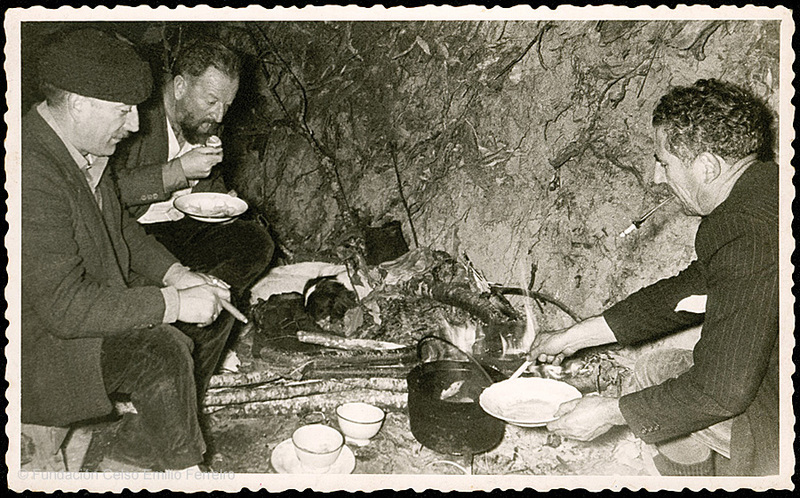 All three writers, along with others, founded in 1964 the Union do Pobo Galego (UPG). 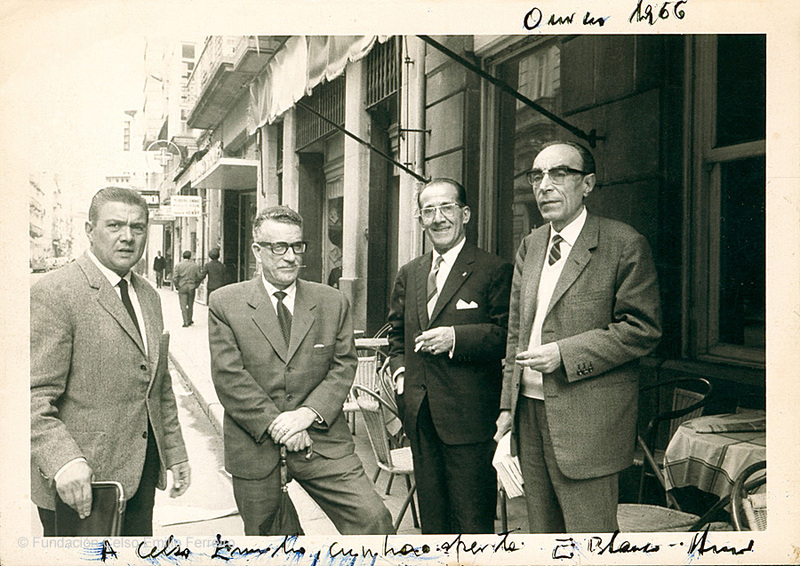 Celso Emilio with Moraima in the Poetics conversations of Formentor, 1959.